I start by cooking the pasta. 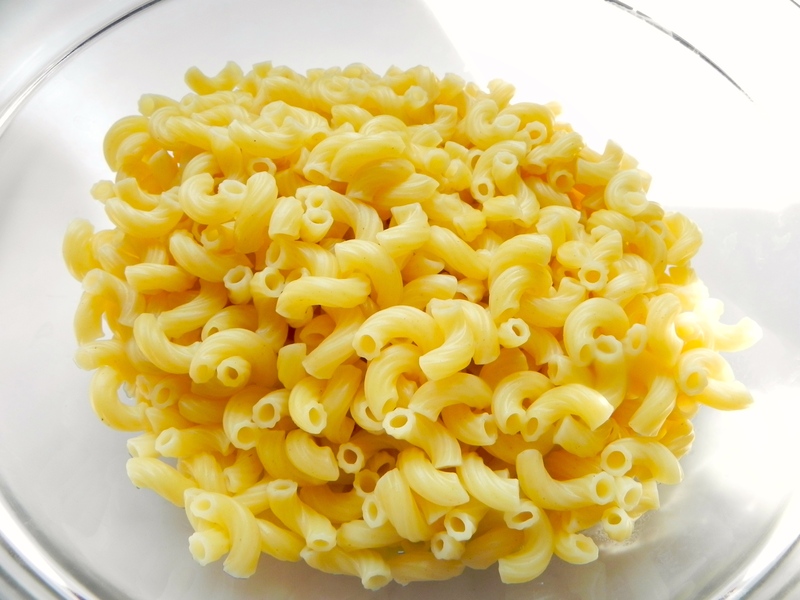 I used macaroni elbows, but just about any small pasta would work. I cut up all the veggies and combine them. The key is choosing crunchy veggies that hold up in a salad. 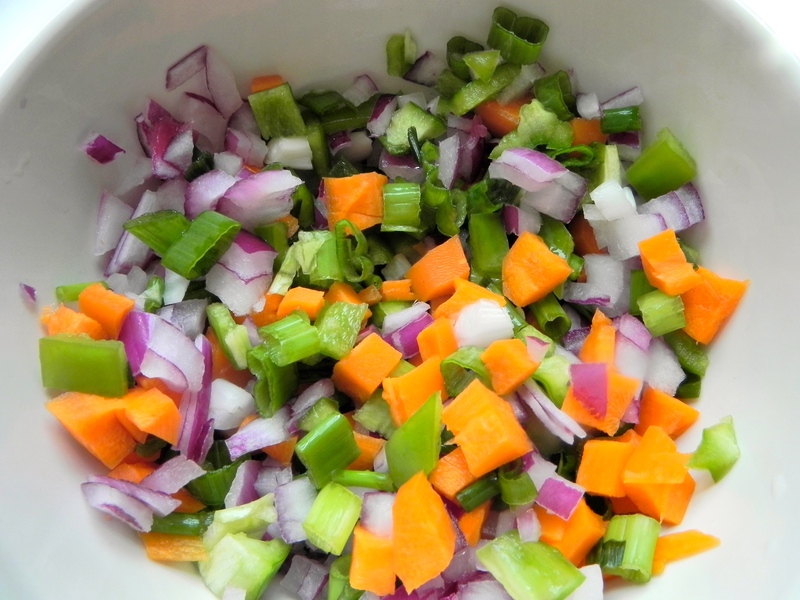 I used bell pepper, carrots, and red and green onions. I make the vegan sausage. I am not a huge fan of “fake meats” but I don’t mind them once in a while and it worked well in this. 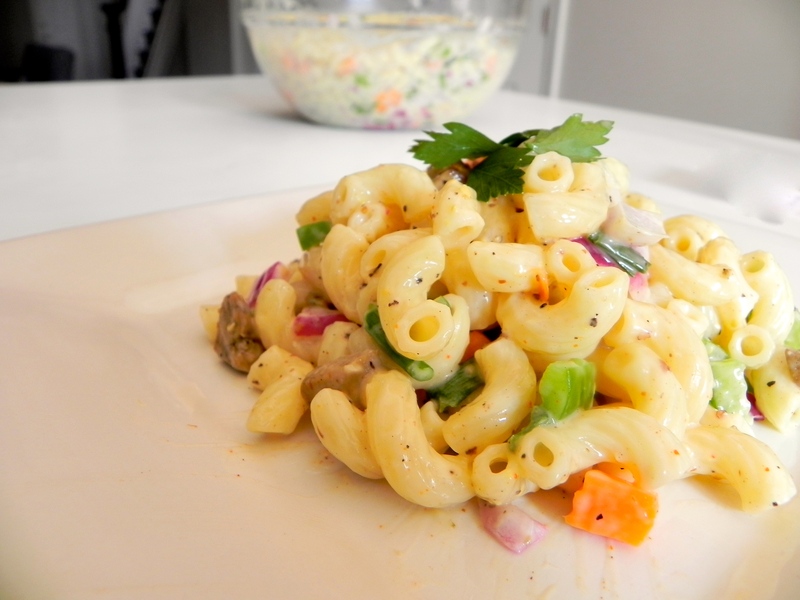 I make the sauce by whisking together all the ingredients – it was sweet, tangy and creamy! Everything comes together in no time at all! Cook the pasta according to directions. Set aside. In a small pan, heat up some oil and throw in the vegan sausage. 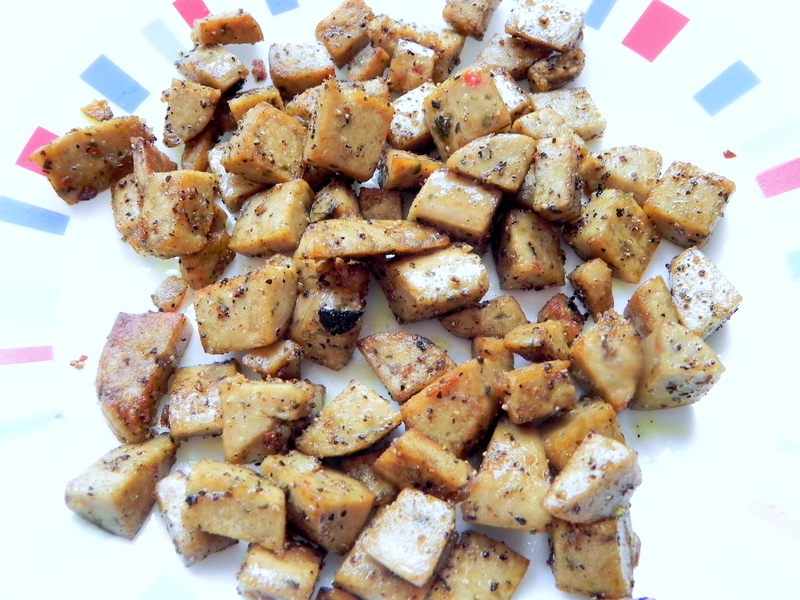 Season with black pepper as its cooking. Let the sausage get brown. Set aside. Combine the mayo, vinegar, mustard seasonings and whisk together. Taste and add any seasoning that may be missing. Once the pasta is cool, add the vegetables, sausage, and the sauce. Mix well. Refrigerate for about 3-4 hours before serving.